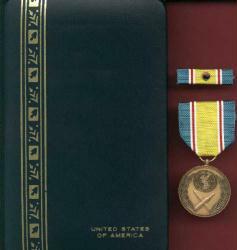 Full size medal with ribbon bar in case in excellent condition. Reverse says in Korean "For Service in Korea" most likely. Authorized by the South Korean Government to US Soldiers.